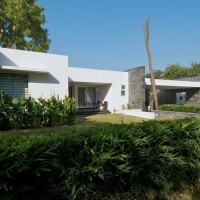 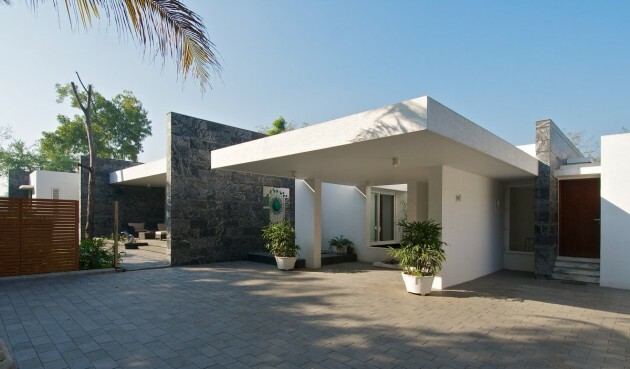 Atelier dnD have designed the Dinesh Mill Bungalow in Baroda, India. 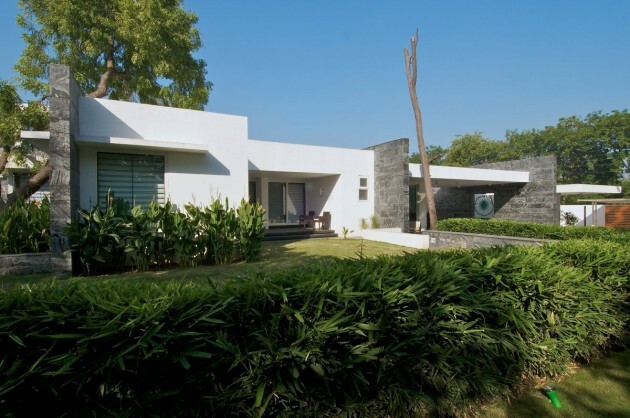 To build a minimalist house with simple clean lines, uncluttered geometry, fluid, transparent spaces where the interiors and exteriors blend into each other in an attempt to keep the user constantly in touch with the outdoors. 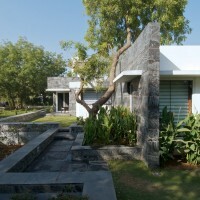 The site with thriving greenery was located just outside Vadodara city. 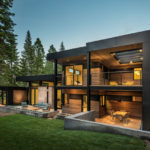 The brief was very clear – to design a contemporary house for this family of three and their support staff meeting their functional requirements. 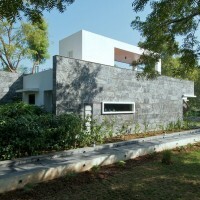 The challenge of the site really lay in preserving the natural vegetation that abounded on the plot. 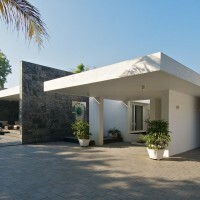 The planning went through several iterations in a bid to preserve as many of the trees on site as possible. 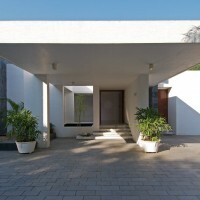 The main driveway leads to a white cantilever porch which defines the drop-off point for the house. 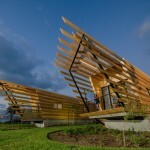 The house itself is an extended spine from this point with various functions attached to it along its length. 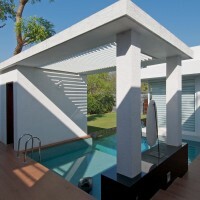 Three outdoor verandahs serve as attached semi-open entities to functions like living and bedrooms. 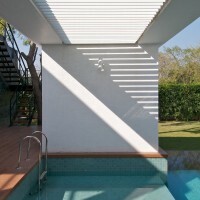 The outdoor pool and deck hugs the living spaces and master bedroom thereby bringing in the cool air during winters. 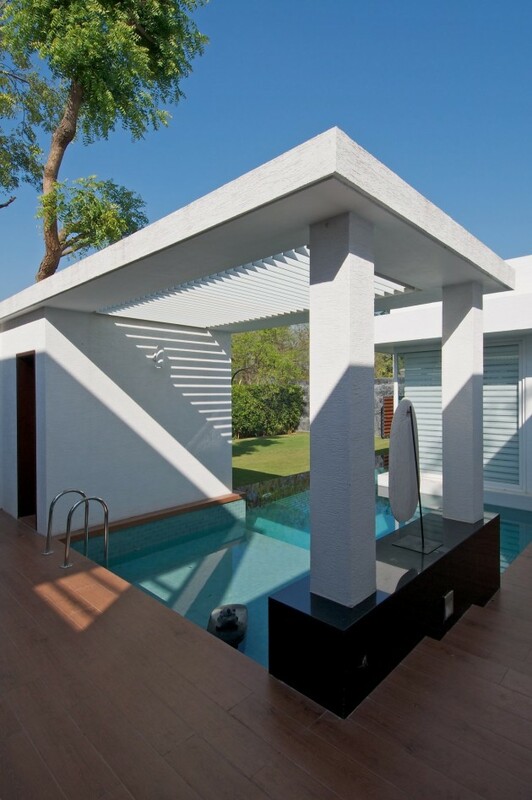 This poolside space extends into a lawn making it ideal space for leisure. 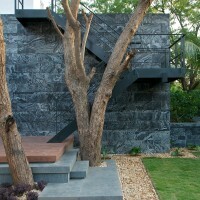 An external staircase leads one to terrace which features open Jacuzzi capturing the vast green forest around the site.